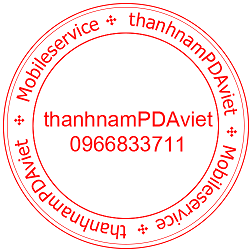 @thanhnamPDAviet Disconnect Mobile... Re-Put the Mobile Bettery... Then Connect your Phone to Computer again.... Please Make sure Mobile better has Power... >>> Searching Mobile Port... Get Mobile Port is: COM22 >>> Device driver identification: MediaTek USB Port >>> Mobile Has Connect... CPU_NAME: MT6755 >>> Reading Mobile Hardware Info...Success HW_Inf: 8A00 SW_Inf: CB00 >>> Initialization Mobile ...>>> Sending Auth File To Mobile...Success >>> Downloading Boot1 To Mobile Phone...Success Mobile phone status:SYNC... Mobile phone status swtich to :brom...Success Success Make sure Mobile status has in :brom... Init Mobile BOOT2 ... =====================Flash Type(eMMC)============== Flash Size: 0x0000000747C00000 -> 29820M Flash ID: 0x150100525831344D Flash Name: Samsung_Unknow Flash symbol: RX14MB >>> Swich Mobile to Hight Speed Re\Wr Port... Get Mobile Port is: COM71 >>> Device driver identification: MediaTek DA USB VCOM (Android) >>> Reading Mobile Map Data...Success >>>>Formating Mobile USER Data... ADD(HEX):0x0106800000 Size(HEX):0x06403FBE00 Corresponding operation completed!! !